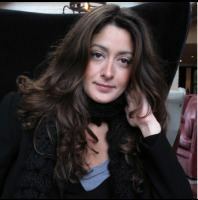 Dana al-Salem is a technology entrepreneur. She has been at the forefront of digital media since 1994 when she co-founded Clockwork, a Stockholm based multimedia agency which built the first interactive platforms online. She is currently the Founder and CEO of FanFactory Ltd, a consumer lead generation and fan intelligence agency, which in 2013 won the Tech100insider award as Top 100 Technology Companies in the UK. Al-Salem studied Art History at the American University of Paris. In May 1996, al-Salem co-founded Yahoo! Europe, built the Yahoo! Europe production team and implemented the rollout of 40 online services for the European local territories. She managed European operations, developed cross platform diversified revenue streams and implemented the first premium direct-to-consumer services. In 2002, al-Salem moved into Television and managed the launch, programming, rebranding and scheduling alignment of Sky Italia, MBC and ITV, where she specialized in on-air audience retention. She was awarded the World Gold Promax Award in 2005. In 2005 al-Salem founded Lost Records, produced and managed artists and global tours with artists such as Chris Stills, Paul Personne, Louis Bertignac and Youssou N'Dour. Through a consumer database focus, she was able to increase ticket and merchandising sales to exceed those of institutional players in the market. Al-Salem is now the Founder and CEO of FanFactory Ltd, a consumer lead generation and intelligent, fan-profiling Tech agency. FanFactory assists various industry sectors, including Media, Sports, Retail, Luxury Brands, Government and Real Estate to find future audiences, increase audience growth and focus on increased sales through higher conversion rates. FanFactory specializes in finding and converting online consumers into fans and fans into customers.FanFactory won the Tech100insider award for 2013 as one of the Top 100 Technology Companies in the UK.